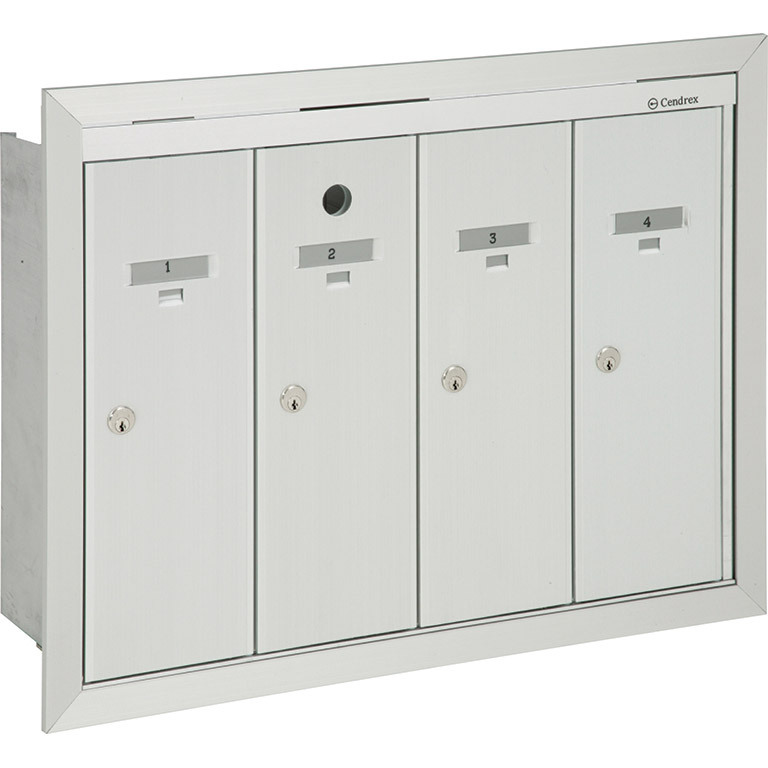 As an indoor solution, this model is recessed and is ideal for small residential apartment buildings. Meet Canada Post’s standards. Cylinder lock with 2 keys. Keyed differently. Master lock preperation. Master lock provided by Canada Post. Each box features a plate holder for identification related to its tenants. 2 1/2" X 1 1/2" (6.4 cm X 3.8 cm). 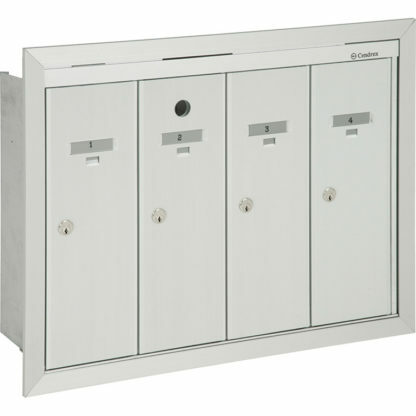 Mailbox width and height dimensions +1/4" or +6mm and minimum wall opening depth of 6 3/4" (17.1cm). 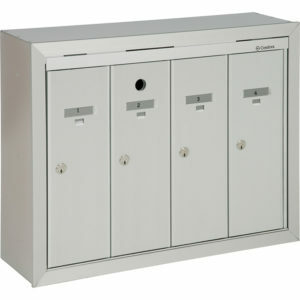 As an indoor solution, this model is semi-recessed and is ideal for small residential apartment buildings. Meet Canada Post’s standards. 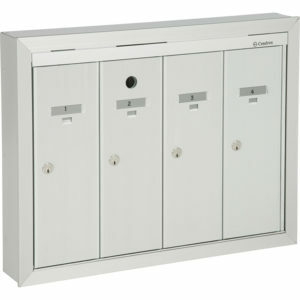 As an indoor solution, this model is wall mounted and is ideal for small residential apartment buildings. Meet Canada Post’s standards.